A brief history of this timely architectural treatment. 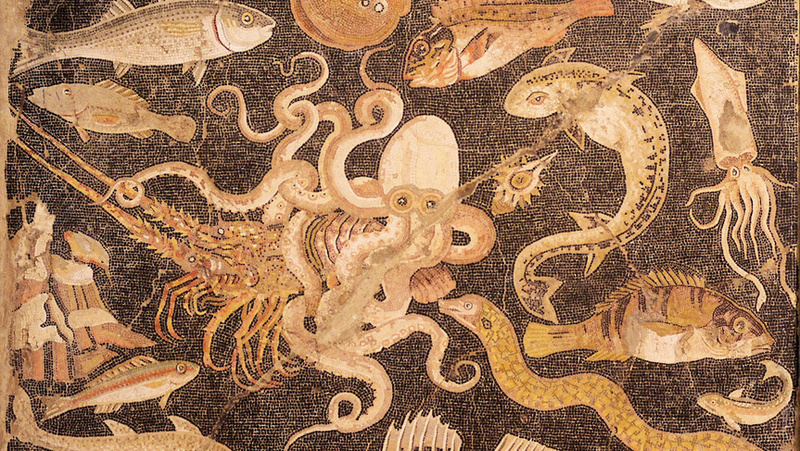 The origins of terrazzo start with mosaics like this one, an early mosaic of sea life from Pompeii Italy. The origin story of the modern terrazzo treatment all started with the ancient art of the mosaic. A mosaic s a piece of art, wall treatment or floor usually made from small pieces of colored stone or glass. Other interesting materials including mirror, stained glass, shells, beads and ceramics have also been used to create a more three dimensional effect. What ever the material, mosaic is composed of small, flat, square pieces called Tesserae by the ancient artists. Mosaics have a long history, starting in Mesopotamia the 3rd millennium BC and continue to be use today in architecture and interior design. Mosaic was widely used in public architecture used to decorate religious buildings like churches and mosques. Artists and artisans created a sense of awe by covering every surface with glittering tesserae. The effect was cinematic and the perfect way to tell stories and inspire devotion. 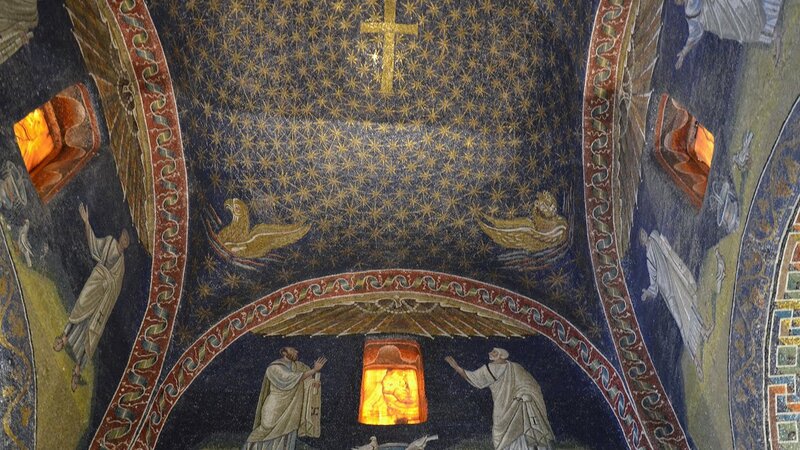 The layperson suddenly wanted the same inspiration and the mosaic jumped quickly from the chapel to the private home. The terrazzo we love today started with ancient mosaics that over time morphed into the 18th century version of the Italian "pavimento alla Venezian" or Venetian Pavement. 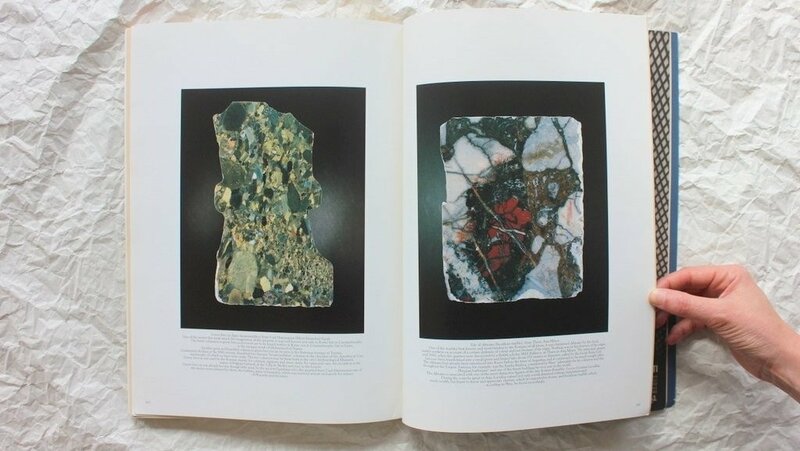 Much like the historic mosaic technique, Artisans put marble fragments next to each other in a cement base or mixed larger marble chips into the cement that was then ground and polished. The modern form of terrazzo came from this and involves pieces of stone or other material that that are bonded to a cement or epoxy bed. 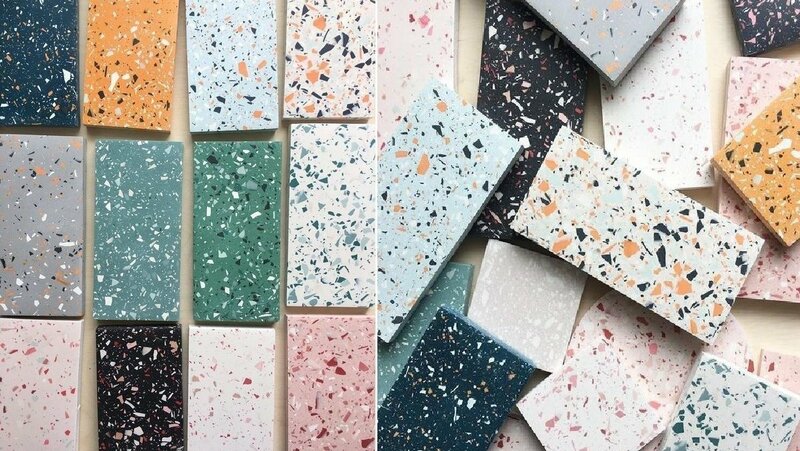 Terrazzo was first introduced in the United States in the late 1890s, but did not achieve popularity until the 1920s with Art Deco and Moderne styles driving design and architecture. The National Terrazzo and Mosaic Organization was formed in 1931 and exists today which is testimony to the enduring love of the medium. 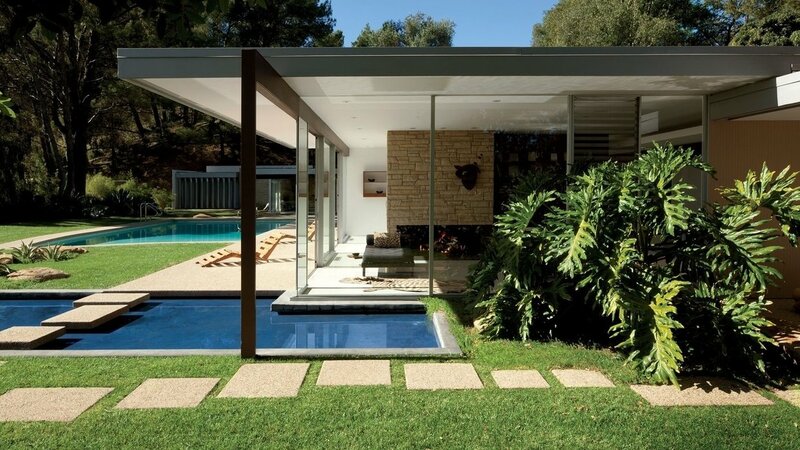 This iconic home by Richard Neutra, know as the Singleton House, it was commissioned in the mid-'50s by industrialist Henry Singleton. The magnificent home situated at the top of Mulholland Drive is now owned by the famed hairdresser Vidal Sassoon. 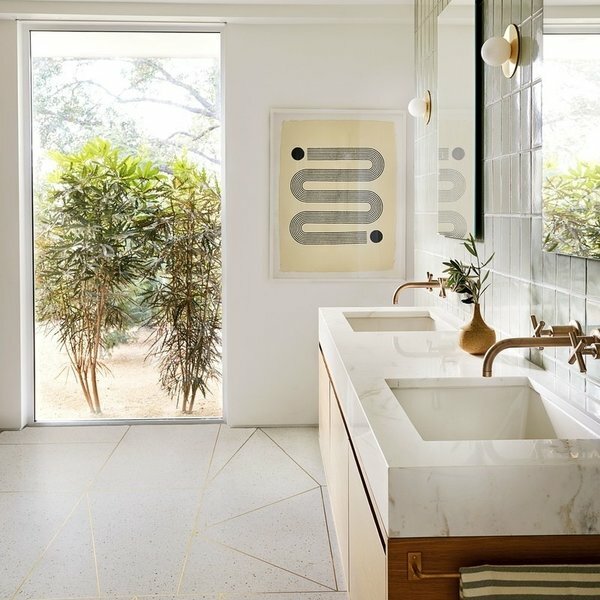 In the 1950s, Richard Neutra and other modernist architects specified terrazzo in their designs, and by the '60s, it covered floors in houses across the Southeast and Southwest. This durable and beautiful composite material became the floor of choice for its decorative and functional excellence. The mid-century greats like Neutra, Lautner and A.Quincy Jones all favored terrazzo as a versatile and beautiful building material that seamlessly blended the indoors and out. Mandy Moore's bathroom in Pasadena, California. 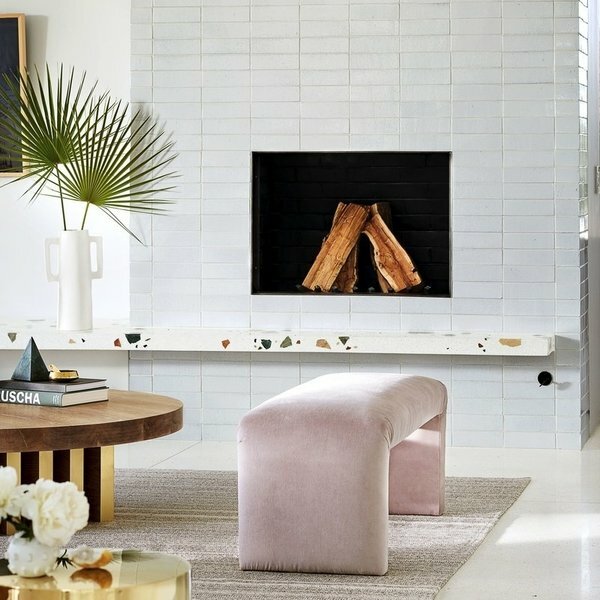 Mandy Moore understands very well how beautifully terrazzo and midcentury architecture work together. In her recent thoughtful restoration of 1950's bungalow by Harold B. Zook in Pasadena California, Moore created an updated version of the go to midcentury flooring by adding a brass detail. The terrazzo floor is consistent with the architecture of the time but Mandy brought it into the 21st century. Custom shelf by Emily Farnham in Mandy Moore's Pasadena home. Mandy went terrazzo on terrazzo with this custom shelf by Emily Farnham architecture. True to the mid-century building principals, this composite material authentic to this type of construction and interior. The outdoor courtyard once featured an original Matisse fresco, which now lives indoors in a museum. Today, the house features a reproduction featured above. The Brody House, the legendary home by A. Quincy Jones is a monument to terrazzo. Famous for its sleek use of black and white terrazzo, its graphic interiors are still revered. The breathtaking Brody House also has a famous past. 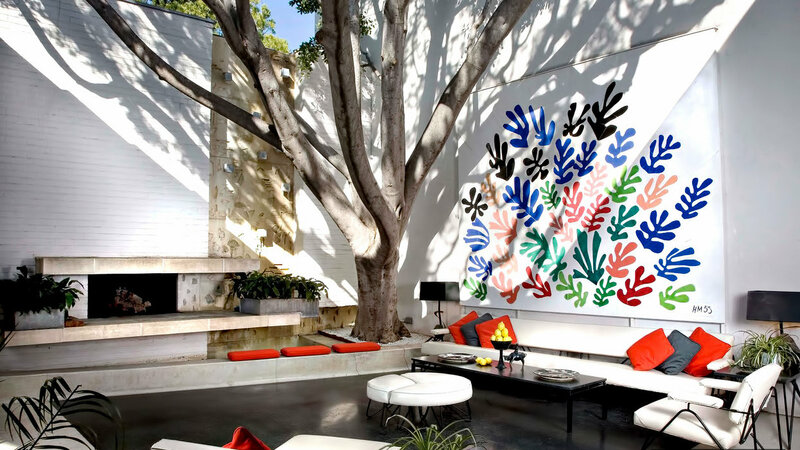 In addition its original Matisse, in 2014 Ellen DeGeneres bought the house, and a few months later Napster founder Sean Parker swooped in and made her an offer she couldn't refuse: $49.5 million and it was sold again. Terrazzo in TERAZZO magazine by Ettore Sotsass and Barbara Radice. Terrazzo jumped from floors to everything in the 1980's with the Memphis designers. They used this versatile and colorful material usually found on floors for everything from tables to lamps. Ettore Sotsass, the father of the Memphis movement, love the compound so much that he aptly called his Memphis publication - TERRAZZO. The living room in the home of Salvatori CEO Gabriele Salvatori : Brera, Italy. 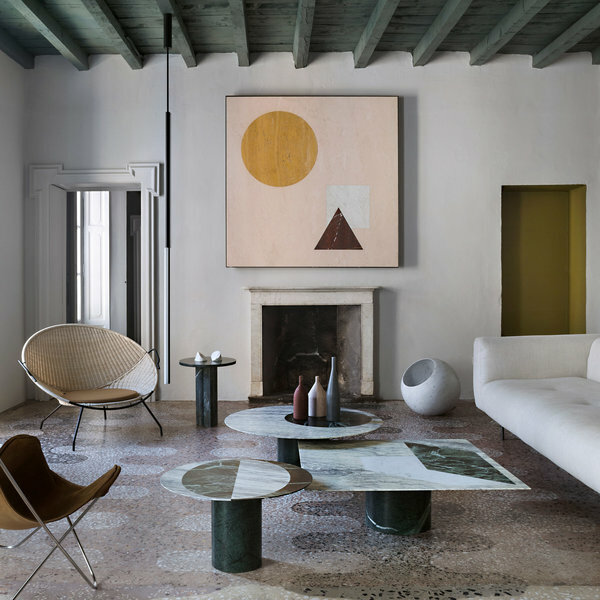 One of our favorite recent terrazzo discoveries is in the apartment of CEO Gabriele Salvatori in a 200-year-old palazzo in Brera. Salvatori is the famous Italian brand that sells a variety of natural stone tiles, furniture and homeware. Salvatori hired designer Elisa Ossino to update the space which included celebrating the incredible existing terrazzo floors.